Aya is still out sick. Boo! To end the day, I'll read up on a few more things in the pile of Ruby books on our desk. In other news: I will be so much more productive in the future since I now have the lolcat gem installed. 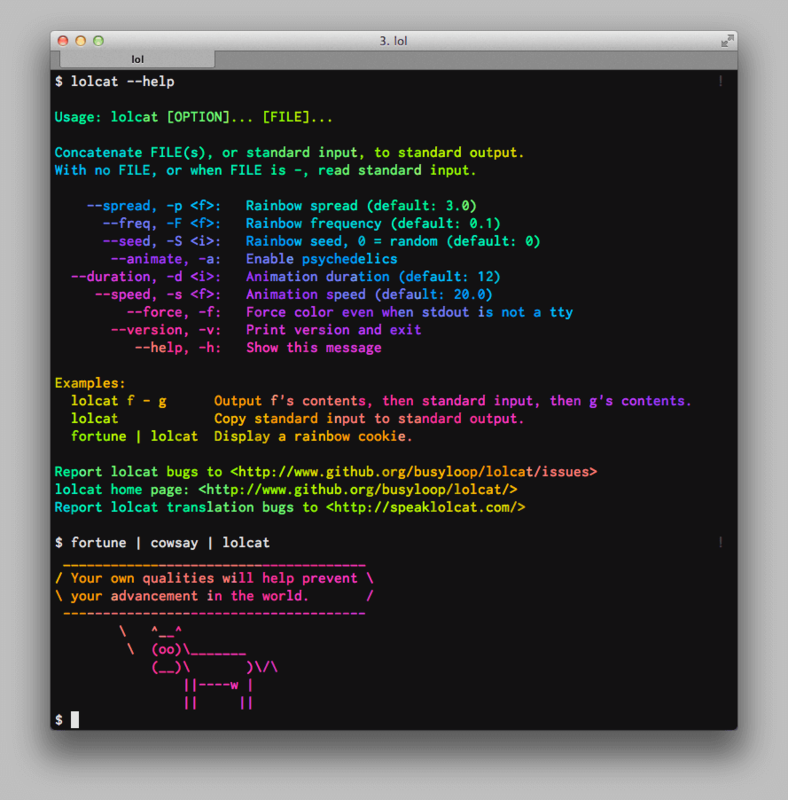 Rainbows in my terminal! Hooray!